We’re in Cape Town, South Africa but as we work virtually please feel free to get in touch wherever you are in the world! Initially we ask for a 50% deposit to book your spot in the diary. When we move onto designing your website we will also need you to send us any images, copy and information that you’d like to be included on your site too but we can help you with all of this if you need additional support! 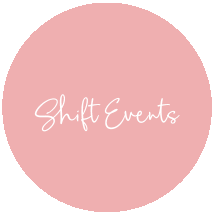 IS SHIFT EVENTS ONLY FOR WEDDINGS? 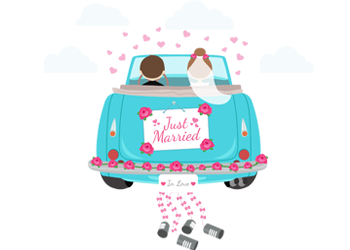 No, in addition to wedding websites, invitations and save the dates, Shift Events is happy to help with creating online birthday party invitations, holiday party invitations, baby announcements, shower invitations, and other special occasions. HOW LONG DOES IT TAKE TO HAVE MY WEBSITE INSTALLED? Depending on your project it usually takes between 2-3 weeks to complete depending on how much information the client has. We can discuss timelines in our phone or meeting chat when we get to know each other to ensure we’re both happy with the proposed dates! CAN I PUT DOWN A DEPOSIT INSTEAD OF PAYING IN FULL UP FRONT? The deposit will be 50% of the total cost of the project, and once notification of payment is received the project will commence. If we haven’t answered your question in the FAQ section and you need some help, please contact the support team who will happily answer any questions you may have.